We met through Christian Connection in June, and chatted online for a few weeks before arranging to meet. After a great first date in sunny Southport we both knew we had met someone very special. On that first date we chatted non stop for 8 hours in between lunch, and walking on the beach eating ice creams. 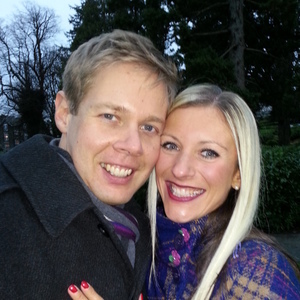 Our relationship developed and at the end of November we got engaged overlooking Lake Windermere. We are getting married in April, and feel incredibly blessed at how God has brought us together - both of us had been looking for the right person for a long time - but God's timing is always perfect. We are really thankful to Christian Connection for bringing us together.